But it’s well good and fun and of that you can be sure . . . Sorry, but this hip hop lark is catching, even for an old geezer like me wiv a yoof way back in the last century. Three generations of my family went along to sample this street savvy version, ancient me, son and seven (almost eight) year-old grandson, and the fact we all enjoyed it says something for the universal appeal of this sparkling hip hopera. The blue-skyed countryside of Grahame's classic has lost its green belt status. The Willows has become a failing comprehensive school while The Wild Woods has become an equally failing estate, an urban jungle the Weasel Gang see as their territory. Poppy Burton-Morgan’s script draws on Grahame’s much-loved story for its outline but this is no longer an idyllic bucolic vision of Edwardian England – it is a 21st century vision of a broken society. The character names are the same, even the plot is still within hailing distance, but this is a harder, bleaker version, a different sort of England. Not that it isn’t fun. There are laughs a plenty in a show with enough energy to light a small city. 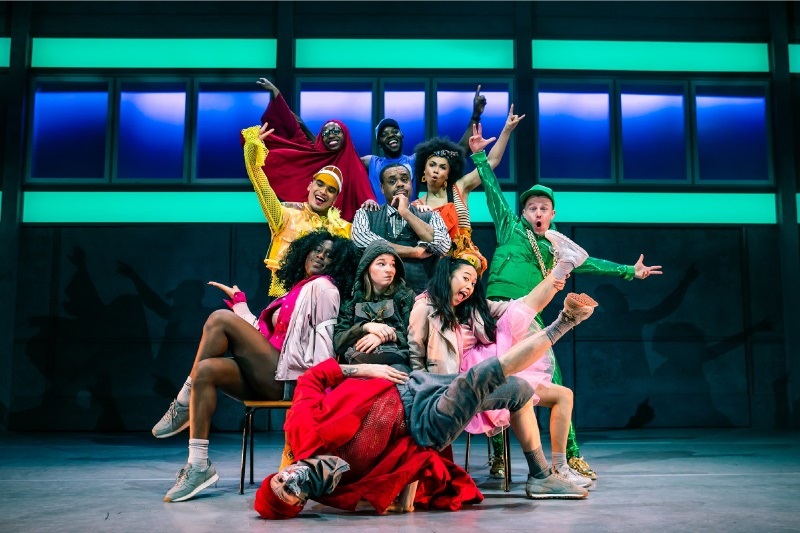 Rhimes Lecointe’s choreography gives us everything from back flips to break dancing while the music from Pippa Cleary and Keiran Merrick along with Burton-Morgan gives us rap, with some quite clever passages, and some classy ballads. Leading the cast is Clive Rowe as Badger, the teacher battling to save kids who have been, abandoned by both the school and society. Like me, from Oldham, he is perhaps best known from his time as Norman in Tracy Beaker but here the Guildhall School of Music and Drama graduate delights with a fine tenor voice. Rattie is the streetwise student, played by Zara MacIntosh, who can sing and dance with the best of them. She is one of the in crowd who gather down the Riverside to dance, but perhaps life has more in store for her than that – she is a bright light in Mr Badger’s class, with a chance of Oxford. She is asked to look after new student Mole, shy, awkward, nervous, Mole and while the rest are in bright, trendy gear, she looks like a refugee from a Gulag. A hard life and a tragic secret in her past follow her around like a cloud. It is a fine performance from Victoria Boyce in her professional debut. She manages a little tug at the emotions and sports a quite beautiful voice. One to watch. Then there is Otter played by Chris Fonseca who managed a rare feat, bringing something to the stage that I have never seen before in half a century or so of reviewing – signed rap. Chis is profoundly deaf, and speaks and raps his role through signing, translated for us by Rattie, and through dance, and boy can he dance. A University of Wolverhampton graphic communication graduate, he is a dancer and choreographer who also teaches, including teaching deaf people to dance, feeling the music. A story in itself. There is lot of signing in the show, but it is so natural you hardly notice - it will be noticed by people who are deaf or have impaired hearing though, making it a more inclusive show, but t is inclusive in more ways that just that - with hip hop, ballads and good theatre it should appeal to anyone, whatever their age. The story would not be complete without our irresponsible rich boy, Toad, played with suitable and thoughtless arrogance by Harry Jardine. who has a lovely comic rap, even telling us he is distraught that his Magnums have melted when his freezer is left open. This after after being busted out of jail by Mole and then being captured by the weasel gang in a sort of nod to the orignal tale. Bit of a family trait with his dad already inside for life for enough crimes to make the charge sheet run to several volumes. It is a lovely cheeky chappie performance. If Toad is the good baddy, if you see what I mean, the Chief Weasel is the bad baddy, played with a nice, laid back, sinister air by Let it shine semi-finalist Matt Knight who shines as a dancer and even comes back from the dark side at the end. There is good support as well from Abiola Efunshile as Owl, Katherine Picar as Bitchy Rabbit and X-Factor finalist Treasure Iyamu as Twitchy Rabbit while another X-Factor finalist, Seann Miley Moore, struts his stuff as a somewhat camp Duck. Directed by Burton-Morgan it is a fast paced show with a clever, flexible setting from William Reynolds, with gates dropping and rising from the flies for school or prison, and Badger’s home or Toad Hall sliding in and out at will and lightin being used to set and highlight scenes. 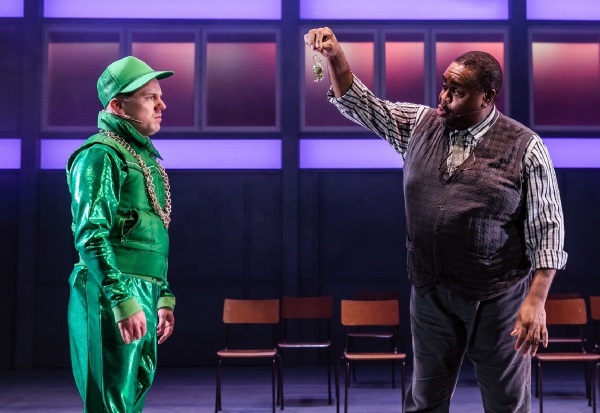 The ballads are powerful while the rap is clear and easy to follow, with plenty of fun, and it all flows nicely – apart from one moment, which is when Rattie tries to explain that prison for the likes of Toad won’t work and recidivism runs at 50 per cent. Education would be a better option. The sentiments are laudible but the rap here is oh so clunky, street poetry not sitting well with Rattie’s impassioned but somewhat technical arguments on social deprivation, exclusion and the like. A bit of urbanisation needed there perhaps. A minor point, though, for something with its heart in the right place, and easy to forgive in what is a wonderfully entertaining production for all ages. It's a wind of change blowing through The Willows. To 23-03-19.